4. 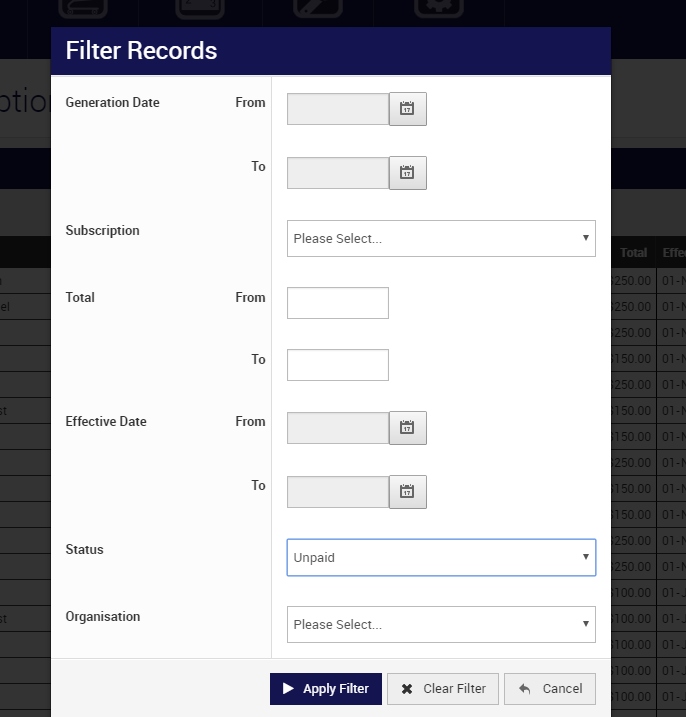 Add in any other filters such as generation date (when the subscription was generated to the member record), effective date, or a particular subscription type. 6. You will now have a listing of all the unpaid subscriptions only, from here select Actions > Cancel All. 7. This results in the subscription being marked as cancelled against the member's record.